2014年Alcest带着他们的第四张录音室专辑<Shelter>再次归来。这张于2013年在冰岛Sigur Ros雷克雅维克市郊的 Sundlaugin Studio录音室里完成了全部的专辑制作。 这是一次Alcest音乐之旅的长途跋涉。专辑邀请到了Neil Halstead(Slowdive,Mojave3主 唱)和Billie Lindhal (Promise and the monster)共同录制。Alcest将带着全新专辑, 继续他们丰富的世界巡演之旅! 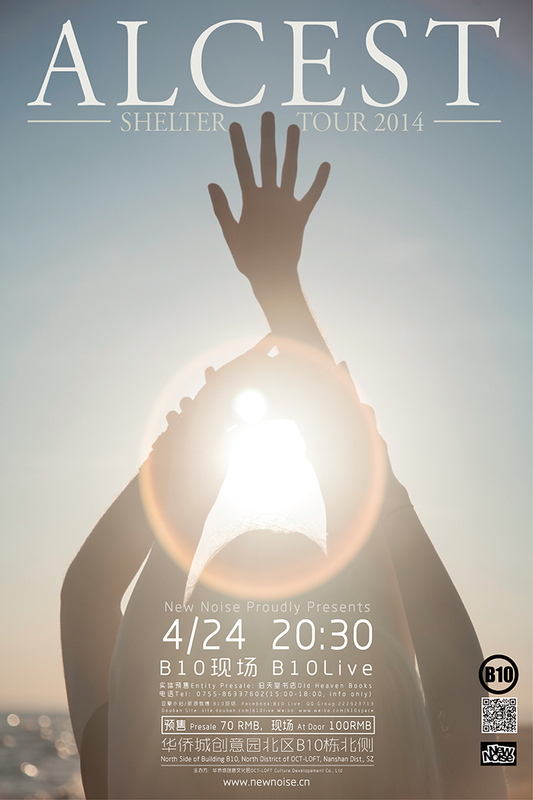 ※Presale service available until 24:00 on Apr. 23..
ALCEST – that is music from another world, a world that is real, but that exists beyond ours and cannot be grasped by our senses. A world where the soul knows neither pain nor sickness nor sorrow, but is filled with a deep peace and an ineffable bliss. This world is no dream and no fantasy. Neige, the creative mind of Alcest, knows it – he has experienced it and keeps memories of how it revealed itself to him in the form of esoteric experiences in his early life. Alcest is his medium to come to terms with these memories and to share them with others. ALCEST recorded new cd spring 2013 at icelandic sundlaugin-studio (Sigur Ros) along with guest performances of Neil Halstead (Slowdive, Mojave 3, ...) and Billie Lindhal (Promise and the monster).